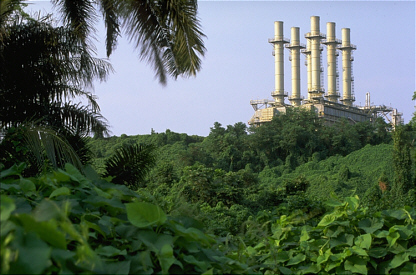 Atlantic Methanol Production Company LLC (“AMPCO”) runs a world scale methanol plant located on Bioko Island in Equatorial Guinea, West Africa. 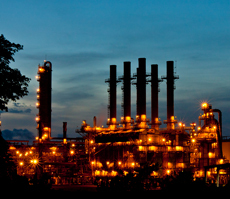 It is owned by Marathon Oil, Noble Energy, and SONAGAS, the National Gas Company of Equatorial Guinea. The plant started production in 2001 and produces in excess of 1,000,000 metric tons of methanol per year, or just greater than 1% the global market. With its location in the Atlantic Basin, AMPCO is strategically located to supply markets in the Americas, Europe, and Asia. AMPCO affiliates AMPCO Marketing, L.L.C. and AMPCO Services, L.L.C. are located in Houston, Texas, to respectively import and market methanol into the United States and to support AMPCO’s operations globally. Atlantic Methanol Services B.V., located in Amsterdam, The Netherlands, exclusively supports AMPCO’s operations in Europe.